“August 25: 14 years later. I often remember bracing for this day annually and then it slips from my mind until the night before when just like last night, I tossed and turned all night and barely slept. These angels perished this day, 14 years ago but it replays in my memory like it was 14 minutes ago. I remember laughter and joy, fun and friendship and in a blink, they were gone. Why I was given the assignment of being with them that day and then taken off of the plane just days before, midshoot by Gina Smith so that they could have their privacy, still makes me tear up in wonder. 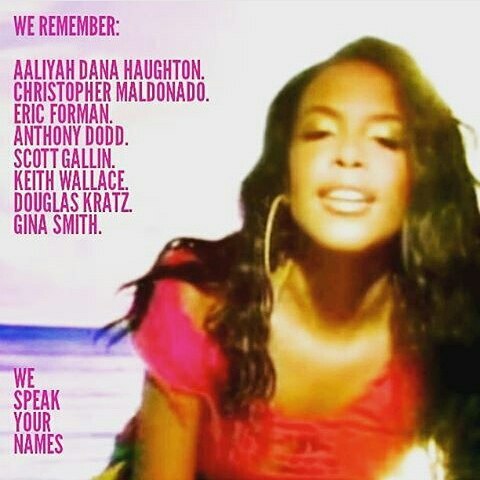 I pray that you are all resting well, being angels for your families, and Aaliyah, please know that your fans are as devoted as ever, if not more so.